Lily: I think I will make it. Come on, bring her in! *Lily nodding her head* True. Maryse: My friend wanted her commentary to be eloquent, but her Travis-mushed brain wouldn’t accommodate her. So she abstained (bummer – her initial reaction, had she posted it, would have been hilarious and I could have made fun of her for days). Lily *cuts eyes to Maryse* You told me you wouldn’t talk about me. Maryse: Ummm… Lily, I was talking about someone else, but now that I think about it, you totally had that reaction too! *glancing back at Jamie* I can imagine you might also be overwhelmed with the huge Travis-fandom, but we’re so thrilled you’re willing to humor us, and we have tons to ask!! 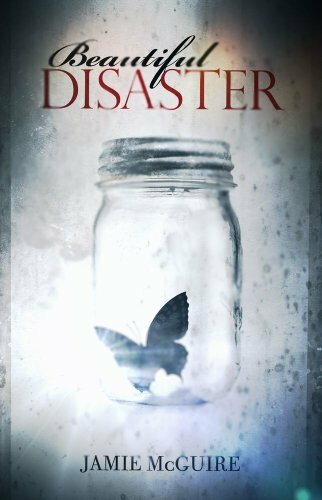 Maryse: Beautiful Disaster made quite the impact on so many readers. The emotional roller-coaster Travis took us on was exhilarating!! He is currently my favorite “ride” in the reading amusement park 😉 I’ve been searching high and low for another one that could elate me just as much and found a couple that have come close, but there is still no replacement for Travis. I was wondering if the incredibly positive response for Beautiful Disaster surprised you? Jamie: The incredible reception of Beautiful Disaster took me totally by surprise. I wrote Providence, and my best friends who I call my “Cheerleaders” were requesting something a bit steamier since Providence is YA. Because I never intended on publishing BD, the response has been that much more shocking. Maryse: I read on your FAQ that you didn’t currently have plans to extend Travis’s world into a possible series. I’m hoping after the huge response to his character, that perhaps you’ve reconsidered. Could it be possible that his brothers might be now be “speaking” to you, looking for their own version of Abby? Maybe a prequel for America and Shep? Jamie: I wrapped BD on purpose, because Providence was such a huge undertaking that I didn’t want to begin another series. It felt good to give them their Happy Ever After. It wasn’t until the whirlwind of interest after publishing BD to Amazon that I thought there would be more to the story. I tell my fans that I never say never, but Travis and Abby are happy where they are. If my mind conjures up a continuation for them, I will definitely write it. While writing BD, I fell in love with Trent, which is why I bring him back into the story later [the fire]. Travis’ father also mentions that he hopes all of his sons will find an Abby one day. I would like to give them one as well! Maryse: *squeeee* More bad-boy books a la Jamie McGuire. Yay us!!! Lily and I want to be the Abbys for the twins!!! Lily, do you care which? Lily: A twin of my own?! Nope, I don’t care which one you give me! Can mine like Kettle Korn? Maryse: I do remember reading that you didn’t intend on releasing Travis’s book. I’m so glad you did. I found Beautiful Disaster on a recent business trip and because of the book, that weekend is forever imprinted on my brain as a fun weekend! Can you tell us why you didn’t intend on releasing his book, and what made you decide otherwise? Jamie: I never intended to publish BD because I was afraid it would “offend” my YA audience, and it didn’t have an intrinsic plot like Providence, so I considered it a “fluff” piece and didn’t want to make it public. However, I kept coming back to it. As I was editing, I realized just how much I enjoyed it, and I thought, what the hell? Someone else might enjoy it, too. Maryse: Long live fluffy intensity!! Please, don’t hold back if you’ve got more of it. Lily: FLUFF?! FLUFF?! That boy had me so twisted up I could hardly breathe, like the little moment when he was running after that car! Fluff?! That was not fluff. *sits down and shuts up at dirty look from Maryse* Sorry, Jamie. Maryse: Ahem… Any “real life” inspirations (in looks or personality) that might have helped inspire his character? After our weekend read-along, Lily and I both realized we went with the same “look” for Travis (that of model Marco DaSilva). Were we close? Jamie: Very close! When fans ask who I see playing Travis if there were a movie, I see someone resembling a younger David Beckham or a tattooed, pissed-off Channing Tatum. I like your suggestion as well! The “real” Travis is someone I knew during my time at the University of Central Oklahoma, who I had a desperate crush on, but he was also one of my best friends. I watched him play the field, rolling my eyes and at the same time writhing in jealousy. Part of BD is fiction, but many of the scenes are real-life experiences I had in college. Maryse: 😯 What what whhhhaaaat!!?? O.M.G. Did you just admit that Travis is sort of…*gulp* real? Oh boy cover your ears, I feel a HUGE SQUEE coming on. Lily: Maryse? Yo, Maryse, you alright? Jamie, if you killed her I am in soooo much trouble! While I look for the smelling salts tell me… Why let him have four brothers? Jamie: That’s an interesting question. I suppose while developing Travis’ character, it was important to me that the readers know why Travis was the way he was. Although I write fiction, and in this book especially some things are over-the-top, realism is important to me. If I can’t believe what I’m reading would (even in a paranormal situation, like in Providence) or could happen, I can’t relate to it. Seeing the events in a story unfold through the characters’ eyes is what makes good storytelling. I try very hard to create that for the readers. Surrounding Travis with family who loved him, but were also all dysfunctional in their own way was centric to Trav’s personality. It also grounded him. My childhood best friends also had three older brothers who were rowdy, and that probably played a part in it. Lily: Making the choice to remove the mother figure from Travis’s life had to be hard, but why take the mother? Was it to make Travis tougher – more immune to womanly emotions? Jamie: Mothers are God in a child’s eyes. Again, developing Travis’ character, he was so overtly impervious to the feelings of the women he cast aside. Travis’ father explains it a bit to Abby within the book. Although Travis was only three when she died, he was affected very deeply by it. Travis was her baby, and he also didn’t get to spend as much time with her as the other boys. He didn’t have the memories of her they had. When you think about it that way, he lost her in more ways than one, and no one would want to feel that way again. When Travis developed a callousness to deal with his grief, it made it easier to shrug off the hurt he caused the women in his life. Lily: Look, Maryse is awake. You ok over there? Maryse Yup, yup… *blush* sorry I was Travisly-overwhelmed again. *sigh* poor Travis. Then it’s a good thing he found an “Abby”. Oh I remember wondering about something while I was reading a certain scene in the book. When Travis was outside, at school, smoking a cigarette, with his hand in his pocket looking deep in thought, was he holding her ring? Jamie: Not necessarily. Travis was worried about the biggest fight of the year, and how he would have Abby there and be able to fight with focus and keep her protected at the same time. He was waiting on Trent’s phone call—the only person he trusted to keep Abby safe—and wondering what he would do if Trent couldn’t come. Lily: When he calls her Pidge, was that something he got from Lady and the Tramp, and did you realize the little analogy there? Jamie: Yes! Finally someone caught it! Travis is the school Tramp…he calls Abby, the only woman he considers a “lady”, Pigeon. I am awestruck at the number of people that don’t get it. Lily: Was Travis hard to write? We only got Abby’s POV but was his personality one you had to struggle with? Would a story (short or long) from Travis’s POV be a possibility? Maryse: Oh pleeeaaasse do it!! All that apartment destruction, the devastating hallway scenes outside of her door, Thanksgiving at his father’s house. OH Wait!!!! Christmas and New Years. YES! Those we didn’t exactly “get” the way we wanted to. Oh wow. So much emotion. I’d love to re-read these scenes from his perspective. I think my heart would explode reading that. Maryse *side eyes Lily uncomfortably* Ummm… Lily, are you channeling Travis? Lily: *getting up * I was not. Ok. Maybe a little. Jamie: Travis didn’t know what to do with himself when he met Abby. He didn’t know how to react when she ignored him, he didn’t know how to handle it when he fell in love with her, and he didn’t know how to behave when she finally gave in and accepted him. It’s important to remember that Travis never once felt he deserved Abby. This from a man that knew he could get any woman he came across. Travis’ ‘falling-apart’ in the second half of the book happens because when he finally fell in love, that was it for him. Abby was The One, and he would fight for her with everything he had (and we all know he is quite the fighter). I like to think that before Travis’ mother died, she must have said something to him for him to feel so strongly about the woman he finally fell for. Maybe the last thing he remembers about his mom is that she was giving him a few lessons on life—knowing she wouldn’t be there—and fighting for the one you love was at the top of that list. Lily: OMG Maryse. I think I just fell a little more in love with him. Stop growling at me! Maryse and Lily: We LOVE that you made Travis both book and street-smart. Any other tidbits about Travis that you’d care to divulge? Favorite color, favorite book? What kind of music did he listen to? Jamie: C’Mon, C’Mon by the Von Bondies is the song that inspired BD’s opening scene. I imagine him listening to music similar to that. Lily: That’s on my iPod! Not even kidding! Maryse: Can you tell us more about your paranormal books Providence & Requiem? Different in context, but do we get another “Travis” sort in there? Jamie: Absolutely not. If Travis has a polar opposite, Jared (the male lead in Providence) is it. Providence is different from BD in that it has a softer flow. It’s intense, but in a completely different way. The plot is deep with twists and turns. The whole dynamic is a different universe from Beautiful Disaster. I feel that is why some people read Providence and Requiem after BD and are disappointed, because they hope to find Travis in the pages. He’s not there, but you will find a love story that stands on its own, and has something for everyone. Maryse: Got it! I’d love to read them, but I’ll keep that in mind. Maryse: And question number Lucky Thirteen 😉 For those who want to read your books, where can your books be found, and where can they find more information about you? Jamie: Ha! Love it. The Providence Series books one and two can be ordered from my website, jamiemcguire.com, and Hastings stores. The eBook versions can be found on Amazon, B&N and Smashwords. Beautiful Disaster is exclusively an eBook, and can be found on those sites as well. Maryse: You can also become a fan of Jamie’s Beautiful Disaster page, and her Requiem page on Facebook! Lily: *laughing on the floor* Bye, Jamie! P.S. 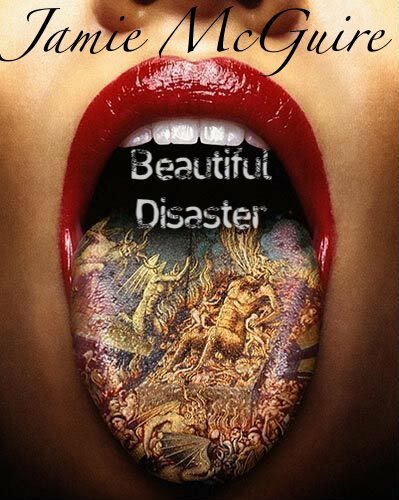 (2015 update) —-> Jamie McGuire – Beautiful Disaster Series Reading Order <—- OMG!!! Great interview. Guess what I’ll be reading again this month? Great interview! Any time I read anything regarding BD, I have an ache to read it AGAIN! Great interview! thanks for sharing. Book sounds awesome!! Love the book and I loved your interview! I feel the same way about Travis! I would freak if Jamie writes a Travis POV!!! Good work on planting the seed ladies!! Don’t get rid of it yet! Travis’s book will be out soon enough (his POV) and then a possible spinoff (or maybe just one book) featuring his brothers.